Are you new to the field of grant seeking? Discover what funders are looking for in nonprofits seeking grants and how to find potential funders in this introductory class. This class will cover the 10 most important things you need to know about finding grants, and you will have an opportunity to do some hands-on funding research using the Foundation Directory Online Professional database. Thank you to Leontyne Anglin from Staging Executives for her exciting and interactive presentation highlighting corporate day of service events for non-profits. 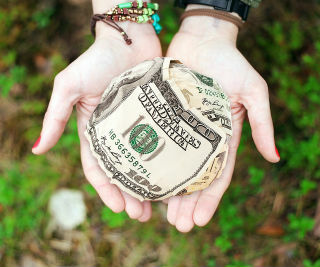 Grants are a major source of funding for non-profits, but it is becoming more and more difficult to secure grant money and that money can take months to come in. There is an untapped source of funding available through corporate entities. By building strong partnerships with businesses, non-profits can enhance their funding while also promoting their mission and gaining new and enthusiastic volunteers and donors. Grab video testimonials before people leave to share via social media or at an event with your organization – make sure to invite the corporate sponsor to the event! You can download a copy of the presentation at https://www.njstatelib.org/wp-content/uploads/2019/02/Corporate-Day-of-Service.pdf. For more information on this as well as other topics related to non-profits, please contact Leontyne Anglin at stagingexecs@gmail.com or 856-449-7763. Successful, engaging community projects are often completely overlooked opportunities that can foster far more substantive relationships than any proposal ever can by offering a chance for executives to work side by side with youth and families in the communities that they serve … and ultimately become your organization’s ambassadors. Please join Leontyne Anglin and learn to develop a strategic plan to get your foot in the door, lead successful large-scale projects and potentially generate thousands of dollars in support. on the air and businesses on the map! Thank you to Susan Shiroma, Senior Social Sector Librarian at Foundation Center New York, for teaching us about the six basic steps for developing a fundraising plan. During her presentation, Susan emphasized the importance of developing a case statement to describe why an organization deserves funding. She also explained that, to ensure sustainability, organizations need to have multiple revenue streams, including earned income. Class participants received tools to take home that they can use to assess their organization, set goals, and develop a fundraising plan. If you have any questions or would like to set up a one-on-one tutorial on how to use the library’s resources to research funding, please contact me at lclark@njstatelib.org or 609-278-2640 X 158. Join us to hear Thomas Pridell from InfoGroup discuss how ReferenceUSA can help you target new customers, research competitors, and gain competitive advantage by leveraging targeted information to cultivate your business growth. Catered to the business community, this program teaches business owners how to identify their vertical market & generate sales leads based on what community is most likely to buy their products and services. Other concepts are taught through the database like competitive analysis, market research, and varying outreach methods to attract new customers. ReferenceUSA is a one-stop resource for all things business. ReferenceUSA’s collection of 10 databases include: U.S. Businesses, U.S. New Businesses, U.S. Historical Businesses, U.S. Jobs/Internships, U.S. New Movers/Homeowners, U.S. Healthcare, U.S. Consumers/Lifestyles, U.S. Standard White Pages, Canadian Businesses and Canadian White Pages. ReferenceUSA is available to all New Jersey residents through JerseyClicks and your public library. Due to the number of computers available, registration is limited to 16 participants.